Credit card processing fees are an expense that often go unchecked due to their small size. Unfortunately, those small percentages add up. They can go on to hinder your profits at a slow but steady pace. As a small business owner or someone interested in starting an LLC, you should be focused on keeping costs to a minimum. Thus, it is important that you find ways to lower your credit card transaction costs. Here are a few useful tips you can use to lower your credit card processing fees. There are dozens of credit card processing options online. Each of them have different rates and features. Therefore, you will want to do plenty of comparison shopping. This way you will end up with a processor that is right for you, without having to pay for the services of a financial accountant. Some services might have lower rates depending on the size of your business. Others may offer discounts for specific types of organizations, like non-profits. You should not have to waste money on transaction costs when there are cheaper options available. Research your options thoroughly. You are bound to find rates that will lower your credit card processing fees. 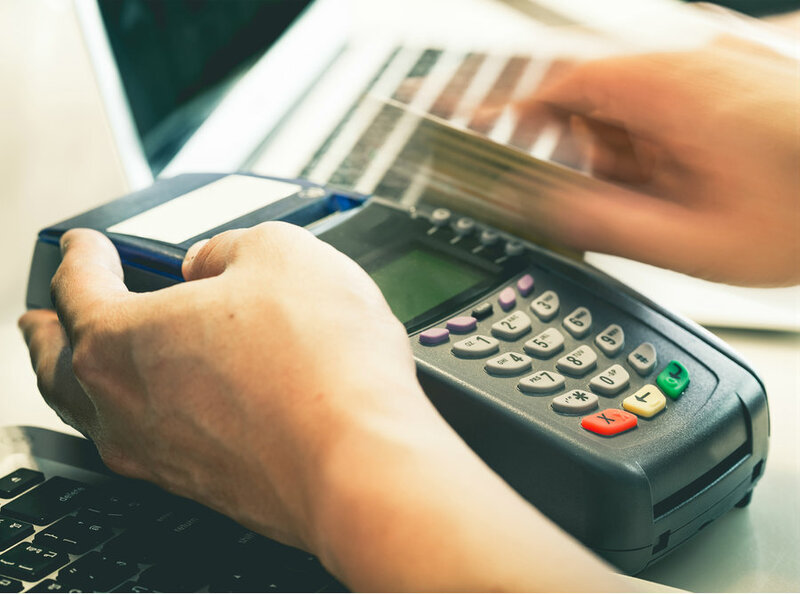 If you own a business that deals in mostly low-cost transactions, you should definitely consider enacting a minimum purchase total for credit cards. Credit card processing fees may not seem like much, but when you are dealing with small transactions, you can actually wind up losing money. To avoid this, put up a simple sign that you have surely seen in convenience stores in your area. “Credit Cards Not Accepted For Transactions Under $10,” or something similar will work just fine. If you own a business that deals primarily with low-cost transactions, make sure to impose a minimum purchase credit allowance. If you already have a credit card processor chosen, the next best option is to negotiate with them. If you have a relatively high volume of transactions, you can convince them to lower the transaction rates. They may consider it based on how much value you are bringing them as customer. A lot of credit card processors already stipulate this as an option. Make sure you discuss the rates if you feel that they have not been applied correctly. It is also suggested to research their other customers to help you make a decision. You can also negotiate simply based on your time as a customer. For example, if you have been using them as a processor for a long time and your transactions have stayed at a high volume. This provides you the necessary leverage to reduce your rates further. Transaction rates are always open to negotiation. Use this to your advantage as you attempt to lower your credit card processing fees. Processing fees actually differ depending on how you choose to enter a credit card into a transaction. The non-qualified rate is the highest rate. It is incurred when you manually enter credit card information without an address identification service (AVS). A mid-qualified rate is a slightly cheaper rate. This type will occur when you manually enter information with the use of an AVS. The cheapest rate however, is the qualified rate. You can get this rate if you swipe the card through a credit card reader. The act of swiping a credit card is simple enough. Invest in a card reader if you want lower processing fees immediately. It is extremely important that you read all the information available to you on your monthly credit card processing statements, especially if you do not use coupon management software. There may be extra fees that you were not aware of. You might even notice an unannounced rate hike. This is a relatively common practice with credit card processors. If you find any of these changes, you should call your processor. Negotiate with them about removing certain items. If they don not budge on a rate hike, it might be time to change processors altogether. Cleaning your monthly statement will either help to lower your current costs or alert you to a need for a different processor. Check them consistently if you want to lower your credit card processing fees. Credit card transactions are a necessity in modern business. There is no avoiding the processing fees that come with it. Even the relatively slight transaction rates can pile up to become a hindrance to a business’s profit margins. If you are looking to lower your credit card processing fees, utilize the tips laid out in this post. You sure to see a reduction in your overall expenses.